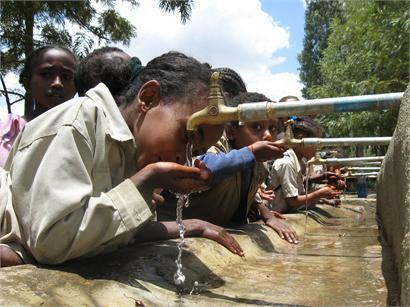 Welcome to Link Ethiopia’s February 2013 News Update! 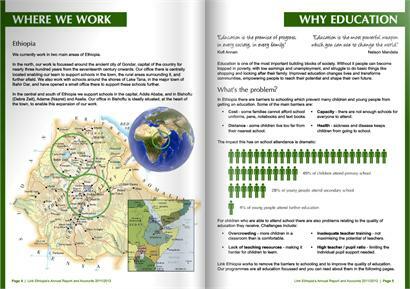 Our Annual Report for 2011-2012 was recently published and we are really pleased to share it with you in this update. You’ll find a few highlights below and much more information on our website. Also this month we are advertising for architects and engineers who can help us with a major design project alongside our Ethiopian teams. Details are below. Let us know if you or someone you know might be interested! Our report is available to browse and download from our website here. We’d love you to see it and to find out more about how your donations are used to support education. How we raised our money. How we spent your donations. …. as well as …. Sports programme – we provided football, basketball, volleyball and handball training for students in 7 schools, along with sports equipment and kits. Are you someone with architecture or engineering experience, looking to get involved in international development work? Or do you know someone who is? We are advertising a self-funded placement in Ethiopia to work with us to re-imagine and design our school infrastructure projects. The successful candidate would also get experience working on ‘live’ projects that will be happening at the same time. Our advert is published on our blog here – please let us know if you or someone you know might be interested. Spread the word widely! To express interest, please email [email protected] and include your CV. Closing date for expressions of interest: 28th February 2013. Ethiopian Proverb - "A belt fastened while running will come undone while running." English Proverb - "Gluttony kills more than the sword." (1) When Ethiopia’s Emperor Haile Selassie spent some time in England in the late 1930’s, in which beautiful city did he reside? (2) What did ‘Operation Solomon’ and ‘Operation Moses’ mean to an Ethiopian in the 1980’s? (3) This ugliest of large birds can be always seen near the lake in Awassa, Ethiopia, scavenging for food on the ground or perched high on the very tops of trees. What is it? Sitting with a friend and a nice cup of coffee in a street café in Ethiopia, this four letter word could either describe one person telling the other all about their interesting week, or it might be the rather unpleasant-tasting leaf that might be chewed at exactly the same time. What is it? Happy visitors the centre of attention on one of our Guest Tours. Join us? A great big thank you to Campaign Monitor! We’d like to say a great big THANK YOU to Campaign Monitor for supporting our work by providing us with this newsletter service for free. 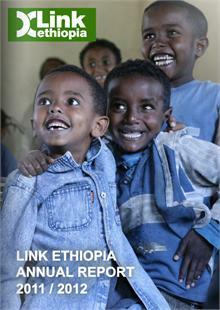 Thanks for reading and best wishes from all the Link Ethiopia team! You’re receiving this because you are one of our amazing supporters. Thank you for your help and encouragement.